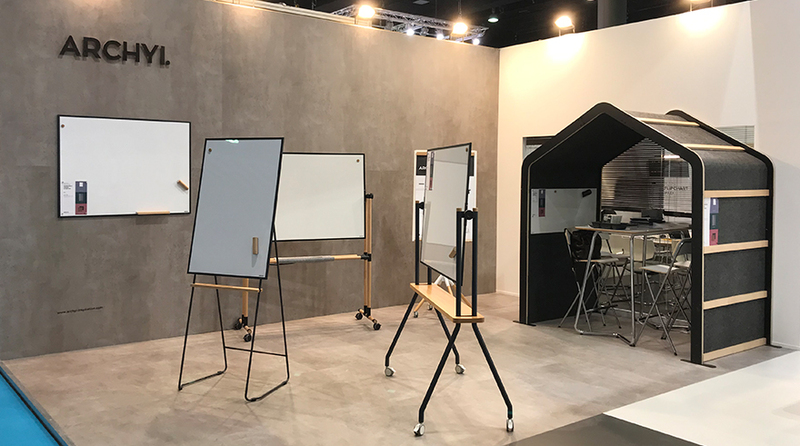 From the 33,010 visitors that passed by Paperworld Frankfurt this year, there was a great number that had the chance to discover ARCHYI’s collaborative workspace solutions, appreciating its premium design, awed by its trending materials and textures as well as by its performance. Standing out in Paperworld Trends Exhibition, there were four ARCHYI. solutions that not only surprised the audience, but led many curious visitors to visit Bi-silque’s stand and try to get to know this distinctive brand a little better. CURVO Glowi Glass and the Villa SCULPO prototype were the solutions that aroused the most interest, mainly because visitors could verify its efficiency and extraordinary performance in loco. The ultra-thin, superior quality glass from CURVO upgraded version showed in every writing, and when people got under our sound absorbing Villa, they instantly noticed that the loud noise heard in all the trade show ground immediately decreased to the point that there was no longer need for people to high their voices to be heard clearly! As “Future Office” selected exhibitor, ARCHYI. was also honored with the visit of several architects, interior designers and planners, included in a guided tour presented by Thomas Geuder a renowned journalist specialising in architecture and building, representing World-Architects. Besides the usual positive reaction to our workspace solutions, Bi-silque’s meeting room, totally equipped with ARCHYI. solutions, was considered by visitors one of the rooms with most suitable and optimal conditions for meetings, with a beautiful dry-erase conference table DOURO, and SCULPO acoustic solutions standing out, particularly the new sound absorbing LCD stand. ARCHYI. team was especially pleased with the great interest that players from high-quality furniture and contract building industry revealed, notably for high-end, distinctive projects in Germany, a market where these areas are currently experiencing a strong growth. 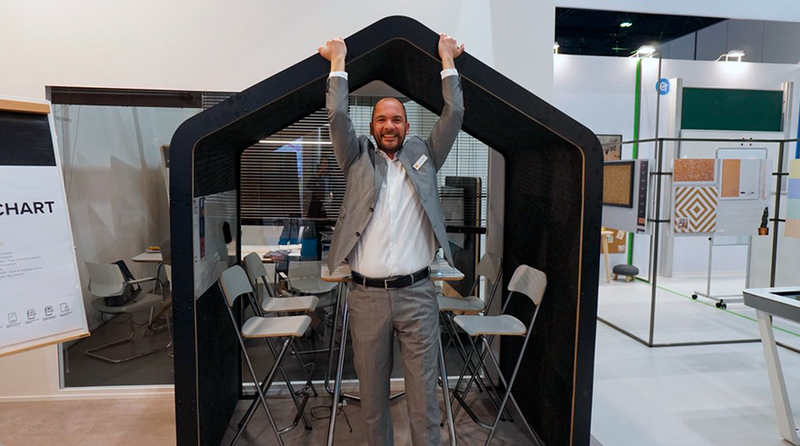 Paperworld Frankfurt 2019 represented an incredible motivation to keep on evolving and working towards excellence, with many great opportunities and relevant partnership rising in the horizon for ARCHYI. So, keep tuned!